Here I am again to give you one of the most sought-after tourist attractions in Cebu. After this cafe exploded as the talk of the town, 10,000 Roses Café is continuously catching the interests of both local and foreign travel enthusiasts due to its romantic seaside appeal. In this article, you will learn how to go to 10,000 Roses Cafe in Cordova, Cebu. 10,000 Roses Cafe in Cordova, Cebu is inspired by the famous Dongdaemun Design Plaza in South Korea. The owner, Miguel Cho, intended to put up this cafe to create a romantic place for the Filipinos without going to South Korea. Needless to mention, this cafe is an excellent go-to place if you wish to enjoy and relax. Cordova is a little bit far from Cebu City proper. This article will help you on how to go to 10,000 Roses Cafe in Cordova, Cebu. you attract the right person by working on yourself. 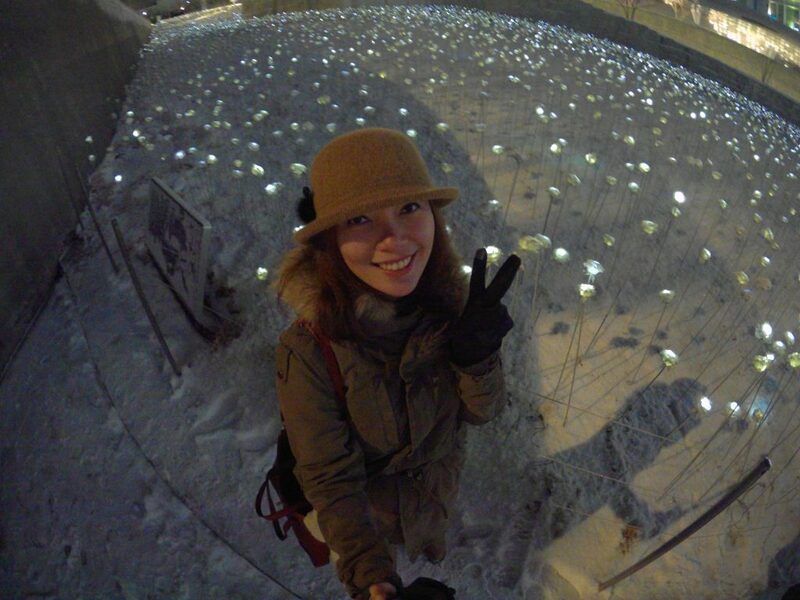 THE INSPIRATION – This photo is taken at Dongdaemun Plaza in Seoul, South Korea. 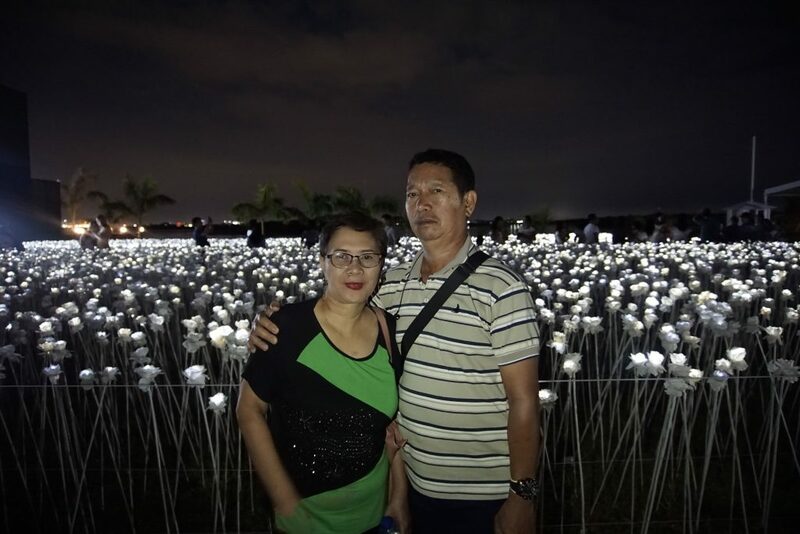 One of the most thumbs-up features of this cafe is how the place is filled with 10,000 (as the name of the cafe suggests) illuminating white roses. Aside from this, the cafe also offers the delicious foods and drinks. These 3-feet tall roses dance with the sea breeze during day time. If you are willing to wait, you will witness how these roses transformed into magical light in the night. The cafe also has a viewing deck. Since this is located in Cordova which is a little bit far from Cebu City proper, it can offer visitors a completely amazing view of the Cebu Island. If you are photo enthusiasts, it is a perfect spot for to capture marvelous pictures. If you’re one of those who want to indulge themselves in this romantic place, sit back, relax and enjoy because I am going to tell you how to go to 10,000 Roses Cafe in Cordova. Located on a reclaimed wharf property in Brgy. Day-as, Cordova, you can visit 10,000 Roses Cafe from Monday to Sunday, 11am until 12 midnight. This is by far the easiest and most convenient way of getting there. Just make sure you consider the time of travel especially if you are going there late in the afternoon. I’m pretty sure you don’t wanna get stuck in Cebu traffic. If convenience is a factor you really consider, this is the next best way. However, it is a little bit expensive. If you are from Mactan Airport or from Cebu City proper, hiring a taxi is easy, but expensive. Fare can increase if you get stuck in the traffic. In how to go to 10,000 Roses Cafe in Cordova, this way is my most recommended because it will save you from a lot of hassles especially if you are thrifty like me (haha). If you are from Cebu City proper, head to SM City Cebu van terminal. Ride a V-hire from SM City Cebu to Cordova. The end point of the van is the Cordova V-hire terminal. Fare is P40/person. From there, ride a tricycle/trisikad heading to 10,000 Roses. Fare is P10-P20/person. Tamiya Route and MEPZ 2 Route – These two routes are separate, okay? If you choose to ride either of these, tell the driver to drop you off at the traffic light because you will be heading to Cordova. The driver will then be able to catch it up and drop you off at that place. From there, ride a jeepney going to Cordova. Drop off at Gaisano Grand Cordova, and ride a tricycle/trisikad heading to 10,000 Roses Cafe. Opon Mercado Route – Ride this jeepney and tell the driver to drop you off at Super Metro beside the General Milling Corp. From there, ride a jeepney going to Cordova. Drop off at Gaisano Grand Cordova, and ride a tricycle/trisikad heading to 10,000 Roses Cafe. This is how the cafe looks like at night. Hi. I’m thankful for these informations provided but I’d like to ask if this café is also accessible by boat. Your humble response will be appreciated. Hi. Is it advisable to go here directly from mactan airport on a weekday? I’ve been to 10000 roses cafe last week. A perfect place to chill and relax. you penning this write-up and also the ｒest of the site is very good.